The CW Orders an Archie Pilot That Will Finally Answer the Question: What If Everyone in Riverdale Were Really Hot? Pitch: Betty and Veronica, but Betty and Veronica are both actresses on The CW. 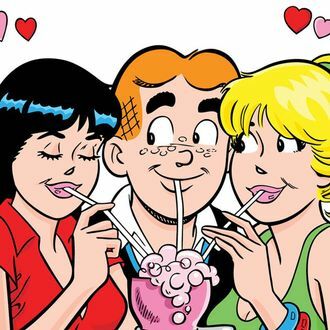 The CW, home of some of the most attractive people ever to grace network television, has ordered an Archie pilot, so get ready to have confused, sexual feelings about the comics you read as a kid. The pilot is called Riverdale and it’s an adaptation of the classic comic series from super-producer Greg Berlanti, who currently produces all the other comic book shows with very attractive people (Arrow, The Flash, Supergirl, Legends of Tomorrow) on TV today. According to Variety, Riverdale will offer a “surprising and subversive take on Archie, Betty, Veronica and their friends, exploring the surrealism of small town life — the darkness and weirdness bubbling beneath Riverdale’s wholesome façade.” Substitute “Riverdale” for “Lumberton” and this is also the plot of David Lynch’s Blue Velvet.